Recent events have included massive catastrophes, both man made and natural; from shootings, to hurricanes, to floods. These types of disasters often bring about the desire in others to help their community. Donating blood is an easy way to help fellow citizens that have become victims in these events. When mass amounts of people donate at the same time as a reaction to their urge to help, it actually creates a rise in blood waste more than it helps the community at large. We at Mesa applaud those who take action to help, however we urge people to donate regularly, throughout the whole year. 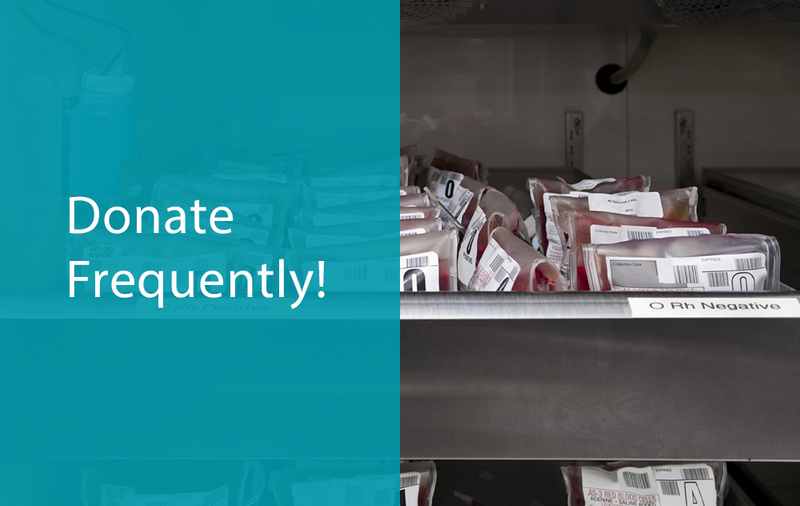 When large amounts of donations are made, it causes a surplus in blood storage. Blood is used by blood banks in a first in, first out manner. This means that when a catastrophe strikes, the blood that is already in storage is used first, and the storage amounts are usually quite healthy. The shelf life of a unit of blood is at most six weeks. So, when a large group of good Samaritans donate blood to account for a catastrophe, all of that blood is going into storage and a large percentage of it is being thrown away six weeks later because there is no need for it and it has outlived its usefulness. It is much more helpful to the blood bank industry if people donate on a regular basis, throughout the year. The urge to help may be strong when a disaster strikes, however being mindful of the process of how blood is used and stored is of great importance. The suggested frequency of blood donation varies from organization to organization and even from nation to nation. Currently, in the U.S., people can donate every eight weeks. In the UK, men can donate every 12 weeks and women can donate every 16 weeks. The difference is due to the perceived effects of donating, such as iron deficiencies. Donation frequencies in the U.S. are even beginning to change. The Mayo Clinic, for instance, is changing their frequency allowances from eight weeks to 12 weeks. They are doing this to allow the body to reproduce the necessary iron levels. In general, it is up to the individual to determine how often to donate, whether you feel comfortable donating every eight weeks or you’d prefer to wait 16 weeks. Either way, it is important to remember that regular donation helps the community at large much more than donating only in response to a catastrophe. Visit us at the 15th Annual Cold Chain Global Forum!